VILLAGE OF PINEHURST, N.C.– Three of Pinehurst Resort's famed locations were honored by AAA Carolinas at the AAA Four Diamond ceremony at the Washington Duke Inn & Golf Club on Tuesday, January 19. The Carolina Hotel and The Holly Inn were named again as Four Diamond hotels while The 1895 Grille, located inside The Holly, was honored as a Four Diamond restaurant. The Carolina, The Holly and The 1895 Grille are the only hotels and restaurant, respectively, in the Pinehurst area to receive the designation. 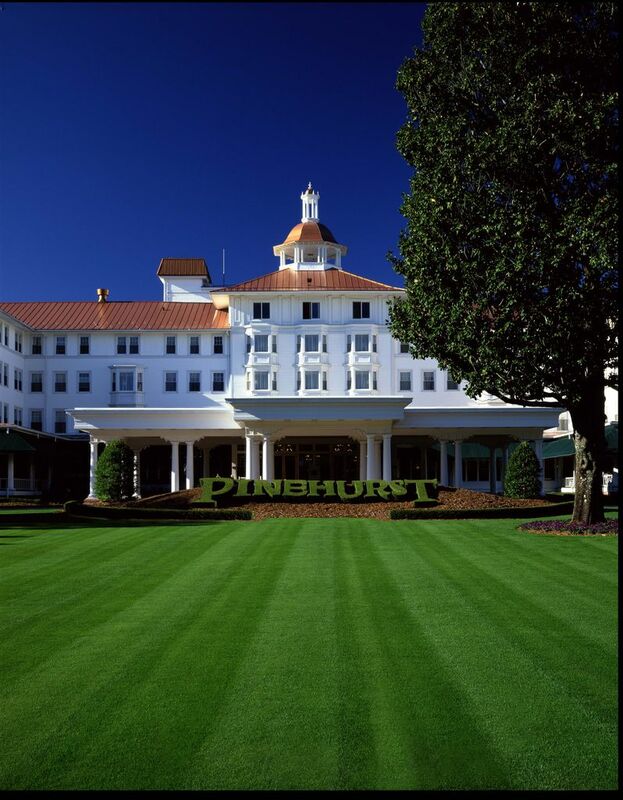 "Pinehurst is honored to again receive the Four Diamond designation," said Pinehurst General Manager Scott Brewton. "This signifies that The Carolina, The Holly and The 1895 Grille are considered to be in the top 3 percent of all properties in the State of North Carolina based on AAA standards. It's a testament to the dedication of our hard-working staff." The Carolina, which opened in 1901 and is dubbed the “Queen of the South,” has long been the featured accommodation at Pinehurst Resort. Known for its signature copper cupola and sweeping verandas, The Carolina is on the National Register of Historic Places. The Holly, which opened on New Year’s Eve in 1895, was Pinehurst's first inn. Twenty guests paid $3 for a night’s stay to welcome the first New Year in Pinehurst history. The Holly features 82 guest rooms and suites as unique as the hotel itself. The 1895 Grille offers an upscale, intimate and delightful room with original hardwood paneling and columns leading toward the atrium ceiling. Featuring fresh seafood and Carolina-inspired cuisine, The 1895 Grille remains the resort’s best dining experience. A total of 32 hotels and 15 restaurants throughout North Carolina have achieved this rating. Lodgings include eight different classifications, such as bed and breakfast, hotel, cottage and country inn with four sub-classifications such as historic, classic, resort and casino. Restaurants have varying cuisines and ambiances, with more than 100 different categories. Each restaurant and lodging that receives any level of diamond rating from AAA is listed in AAA’s TourBooks, which are distributed for free to any of the organization’s 53 million members nationwide. Located in the North Carolina heartland, Pinehurst Resort & Country Club, established in 1895, is a 2,000-acre property featuring an award-winning spa, nine golf courses, tennis, and activities for the family. Widely known as the cradle of American golf, Pinehurst has hosted more single golf championships than any other site in America, including the U.S. Open, PGA Championship, Ryder Cup Matches, TOUR Championship and many others. In 2014, it served as the site of the historic back-to-back U.S. Open and U.S. Women’s Open championships. Go to pinehurst.com or call 800-487-4653 for a complete list of events and activities.